need a festive finishing touch for your thanksgiving and christmas d飯r? require something really stylish for your holiday tabletop? 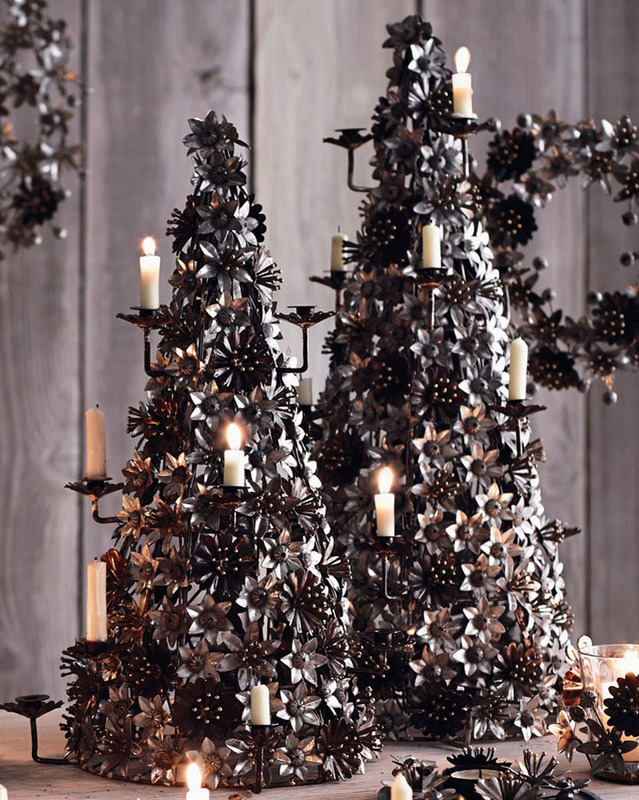 looking for our decorative holiday tabletop candelabra trees? with our elegant modern tabletop sized christmas tree candelabras in mixed colored brass, we've got just what you need. our mantel-top sized modern christmas candelabra trees will be one of your favorite holiday decor items. this holiday season, transform your table in the blink of an eye with these highly decorative christmas items from our decor ideas collection. place a single tree on a mantel, shelf or end table. or mix and match small and large sizes, interspersed on a large dining table, for an attractive composition. small candelabra holds 13 candles. large candelabra holds 16 candles. optional matching candles sold separately. for a matching look, check our christmas ideas. hand-crafted trees are fashioned from mixed metals & brass in a multitude of colors for a rich composition. easy to place on mantel or table. price is for 1 (one) candelabra tree.